The incredible wildflower season here in the desert continues to surprise us. The cool weather is prolonging the life of a lot of annual blooms, and rain and snow continue to fall in the Coachella Valley and surrounding mountains. How long will the wildflowers last? Will the Valentine's Day deluge produce another round of blooms late in the season? It's too soon to tell, but in the meantime many of our usual wildflower hotspots - Indian Canyons, Whitewater Preserve, Box Canyon Road - are inaccessible due to flooded roads. 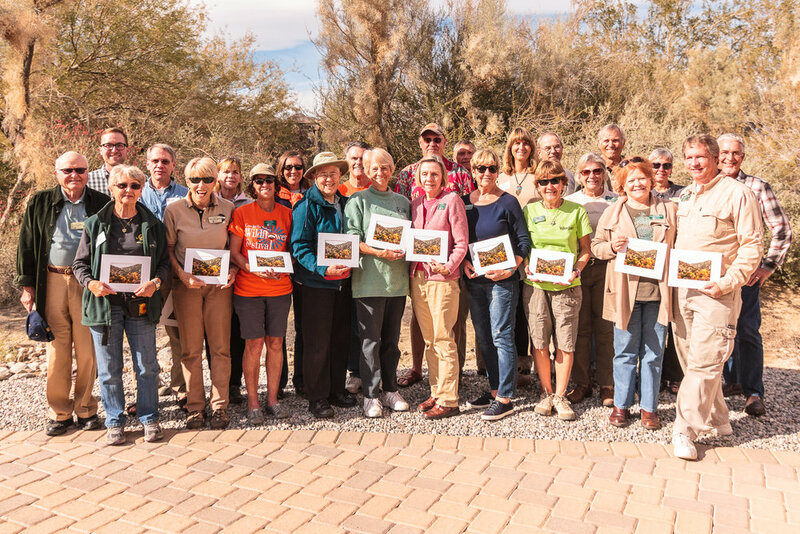 Friends of the Desert Mountains is a 501(c)(3) nonprofit organization formed in 1987 by a group of passionate, concerned citizens determined to help to protect the conservation land resources of the Coachella Valley. We partner with the Coachella Valley Conservation Commission, the Coachella Valley Mountains Conservancy, the Bureau of Land Management, and the US Forest Service, and others to support education, research and conservation in the valley and the Santa Rosa & San Jacinto Mountains National Monument. Together with our partners and the local community, who help support our organization through major sponsorships, donations, and vital volunteer time, we have protected over 50,000 acres of conservation land. Save the date! The 2020 Coachella Valley Wildflower Festival is on March 7th! In spring the dry desert becomes a garden of life! Celebrate the blooms with wildflower walks, kids activities, local artists, and more!